Mining is one of Canada’s main industries, and the country is well known for its production of potash, uranium, cobalt and platinum, among other minerals. Silver mining is also important in Canada. Though the country isn’t one of the world’s 10 top silver-producing countries, its output is still significant. In 2017, Canada ranked 14th in silver production, with 12.7 million ounces produced. Global silver production reached 852.1 million ounces that year, down from 888.6 million ounces in 2016. In Canada, most silver produced is mined as a by-product from other metal mines. According to Natural Resources Canada (NRCan), mines in Canada are largely polymetallic, so it’s no surprise that the main sources of silver in Canada are copper–zinc, copper-nickel, gold and lead-zinc ores. For example, Hudbay Minerals’ (TSX:HBM,NYSE:HBM) Manitoba-based 777 mine mainly produces zinc and copper, but also puts out some gold and silver. Interestingly, NRCan data shows that the Canadian province of Ontario holds about a quarter of the country’s total silver reserves. The Yukon is in second place with 22 percent, followed by BC with 16 percent, Quebec with 17 percent, New Brunswick with 10 percent, Manitoba with 6 percent and Newfoundland and Labrador with 1 percent. At the moment, a wide variety of companies are engaged in silver mining and exploration throughout the country, though most activity is focused on BC, Nunavut and the Yukon. To help investors become familiar with the landscape, we’ve put together a list of publicly traded companies that are currently mining and exploring primarily for silver in those three locations. The firms listed all had market caps of over $5 million as of June 20, 2018; if we missed a company you think should be included, please let us know in the comments. BC is the corporate base for many Canadian mining firms, and fittingly the province is also a major producer of base and precious metals with a long history of silver mining. For example, the BC-based Sullivan lead-zinc-silver mine, which was in production from 1909 to 2001, was once one of the world’s largest producing mines, with estimated total silver production of 280 million ounces. Barrick Gold’s (TSE:ABX,NYSE:ABX) Eskay Creek mine, which operated in the province from 1995 to 2008, was one of North America’s highest-grade gold and silver deposits, with annual silver production of 15.5 million ounces. Currently BC is currently home to a number of companies that produce silver as a by-product of metals like gold and copper. That said, there are some companies in the province with exploration projects focused on silver — here’s a look at a few. Dolly Varden Silver owns the Dolly Varden silver properties in Northwestern BC. The properties cover 8,800 hectares, and contain four past-producing mines that ceased operations in 1959. According to the company, only 3 percent of the land package has been explored in detail. In March, the company announced that resource expansion would be the focus of an $8.9-million drill program. Dolly Varden said at the time that the largest amount of money would be spent on about 25,000 meters covering 60 to 75 drill holes. The program began at the beginning of June, with the first results expected in early July. Klondike Silver says its goal is to revive the Slocan Mining Camp, a 100-square-kilometer brownfields silver-lead-zinc project in Southeastern BC. According to the company, it has an active mine permit, a 100-ton-per-day mill and a licensed tailings pond facility, in addition to other assets. 2018 has been a quiet year for the company, although it said in February that it has been “actively advancing its Silvana project.” The plan is to reactivate the Silvana mine by exploring along the Main Load structure, which has produced the largest amounts of silver, lead and zinc in the Slocan Mining Camp. One of Nicola Mining’s assets is the Merritt mill and tailings facility, which is capable of producing silver concentrate along with free gold concentrate and gold flotation concentrate. The mill began commercial production in March 2013. In April 2017, Nicola Mining entered a long-term mining and milling profit-share agreement with privately owned Gavin Mines to process material from Gavin’s Dome Mountain gold-silver mine near Smithers. The company also holds the Treasure Mountain property, which is a 7,000-acre silver deposit. The company began underground stope mining in 2011, and extracted an estimated 8,000 tonnes of material, which was then stockpiled. 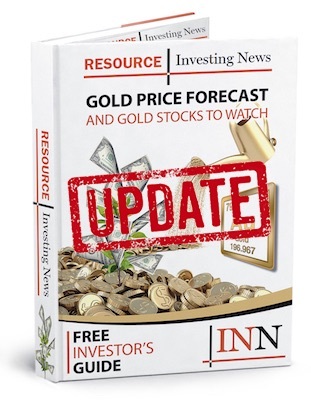 The company has said that due to the current low silver price it will continue exploration work at three prospective targets on the property instead of continuing to mine. Canada’s territories are not as well known for silver mining and exploration as BC, but they are quickly becoming silver exploration hotspots. As noted, Nunavut and the Yukon have become particularly interesting for junior miners — here are a few that are currently on the hunt for silver in those locations. Alexco Resource is focused on the Keno Hill Silver District, located 330 kilometers north of Whitehorse in the Yukon. The area is considered one of the highest-grade silver districts in the world. The firm’s Bellekeno mine was once Canada’s only primary silver mine, but Alexco suspended operations there in the fall of 2013 to decrease costs and reposition the district for long-term, sustainable success. Currently Alexco is working to bring Keno Hill back into production. A 2017 preliminary economic assessment outlines a scenario where the company would produce sequentially from four deposits at the property; the operation would have a 400-tonne-per-day life-of-mine production stream totaling 1,021,000 tonnes with an average grade of 843 g/t silver, 3.31 percent lead and 4.2 percent zinc. A prefeasibility study is in the works and is expected in the third quarter of 2018. Avino Silver and Gold Mines currently has 100-percent ownership of the Eagle property in the Yukon. In 2009, through an option agreement with Avino, Mega Silver drilled six holes at Eagle; the companies successfully identified strong silver, gold, enriched zinc and lead mineralization. In recent years, the silver-mining company has focused more on its Avino property in Mexico. Metallic Minerals is a growth-stage exploration company focused on the acquisition and development of high-grade silver and gold in the Yukon. Its main asset is the Keno silver project, which is located in the Keno Hill Silver District. Among other properties it holds the McKay Hill project northeast of Keno Hill; it is a historic high-grade silver-gold producer. In May of this year, Metallic announced a 2018 exploration program at Keno following a successful 2017 program. According to the company, the work will look at three stages of targets: resource delineation-stage targets, advanced surface targets and earlier-stage targets. This is an updated version of an article originally published by the Investing News Network in August 2010. Editorial Disclosure: Alexco Resource is a client of the Investing News Network. This article is not paid-for content.